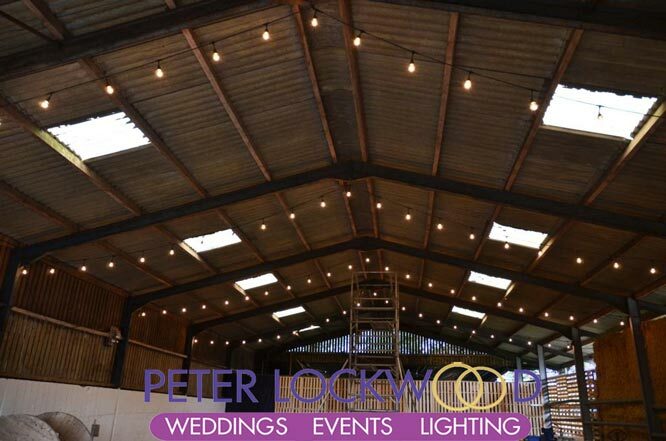 The pictures below show black cabled 15w real lamps mains festoon lighting in different barns through the Northwest. If power is a problem 2w warm white led lamps can be fitted. A dimmer to them if you wish to lower the light output in the evening. 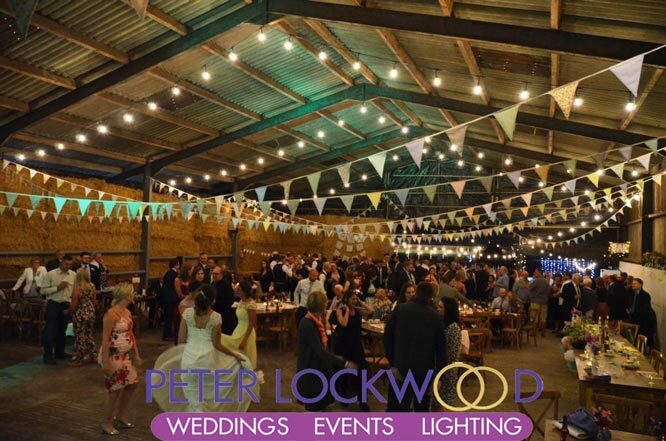 The festoon lighting provides the right amount of lighting in the barn perfect foe your wedding breakfast. 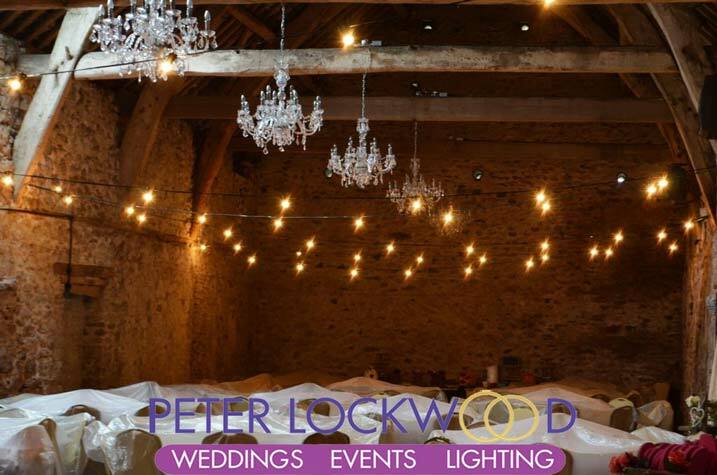 The pictures show festoon lights in a wedding barn. The lighting provided a rustic feel to the wedding just what my clients wanted. 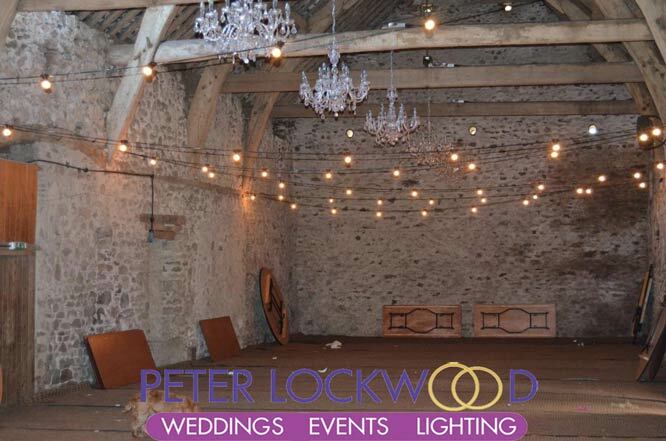 We would normally use 1 meter spaced festoon lighting with the right lamps they look great in the day and at night.